Implementing or understanding BIM in an organization is so much more than choosing the right design software. It’s about educating an entire organization about software tools, processes and workflows to meet stringent standards. Apart from change management it’s a big challenge. And it gets bigger with the challenge of driving software and process adoption across geographically-diverse teams with varied levels of experience, workloads, motivation, and access to technology and learning styles. Organizations across the globe are facing a knowledge gap that prevents them from achieving the advanced consulting role they know they need to provide in today’s competitive market. 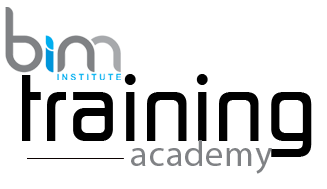 This BIM Fundamentals courses is designed to help educate professionals and organizations to understand the fundamentals on processes and procedures in order to implement BIM on a project. Internationally, the use of BIM varies significantly by region. Although not universally mainstream, it can no longer be considered to be just for early adopters. Around the world, BIM is being embraced by public and private bodies. Many governments such as the United Kingdom and Australia are beginning to require the use of BIM, and companies are basing business models around it. Building: The ‘Building’ part of BIM refers to the structure or project in question over its lifetime. With BIM, we are able to control and manipulate the different life stages of a project, including planning, conceptual design, project construction processes, facility operations, alterations and, finally, deconstruction. Information: In the context of BIM, we understand ‘Information’ to mean all useful information or data that is generated throughout the life cycle of a building. This includes information such as drawings, construction details, 3D renderings, technical specifications, structural calculations, facilities calculations, energy calculation, measurements, budgets, planning work, documentation and maintenance, etc. Modelling: The ‘Model’ part of BIM makes reference to the various parts or functions that make a project work. These include planning, surveying, architecture, structure, facilities, economic viability, etc. The creation of a geometric model or digital drawing as part of this process allows buildings to be conceived collaboratively and tested virtually, before they are built and operated for real. This should reduce the problems that are encountered in construction and occupation. These models are created from a series of objects that make up recipe. Each object is defined and coded only once and then placed in the model in multiple locations as required. If the object is then changed, these changes will appear throughout the model. This makes models automatically consistent and reduces errors. Where Does a Contractor Fit in a BIM Process? the design team as the architects and engineers. Using BIM also inherently improves communication. Where before we could see lines on a light table or overlaid on a computer screen, now we can see in a 3D view. Before BIM, projects consisted of coordinated plan, elevation, and section information to understand the building; now we can create sections, elevations, and perspectives quickly in real time because they are all different slices, views, and projections of the virtually constructed model. Integrating project teams before project delivery also promotes team buy-in. As opposed to the adversarial relationships that could potentially develop between team members, a truly integrated process limits potential litigation in a BIM-focused process. The contractor understands the design intent more fully than before, as well as feeling that they have used their knowledge of construction to further inform the design team about decisions that involve actually building the design. Another great aspect about BIM is that it reduces contingencies.